Nine restaurants of the council participate in this gastronomic event. The gastronomic days will take place at the 20 and 21 in April and will be dedicated to foal meat. 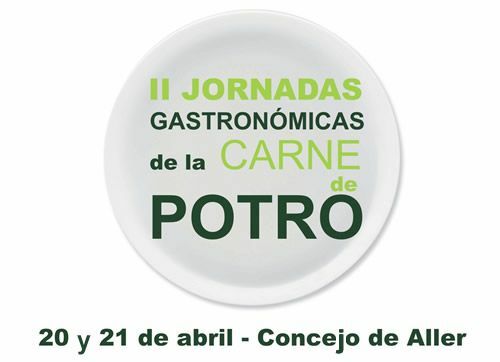 After the milestone of the first edition, which took place in April of last year, the Aller restaurants will offer for the second consecutive year the Gastronomic Days of Carne de Potro. The initiative is organized by the catering establishments of the council and the Aller City Council, and has the support of the School of Hospitality of the Valley of Aller IES, as well as the Association of Equine Cattle Breeders of the Asturian Mountain (ACEGMA). This initiative was born with the aim of boosting the gastronomic tourism in the municipality, through a pioneering days in Asturias, which will take place the 20 and 21 days of April. A total of nine catering establishments from the towns of Moreda, Nembra, Murias, Santibanes de Murias, Cuergo, Felechosa and La Raya participate in the conference. Appetizer: jerky and chorizo ​​sausage. 1º PLATO: salad of foal carpaccio or fabes with foal. 2º PLATO: stewed foie gras or grilled steak entrecot. Includes: dessert, wine, water and coffee. Asador Restaurant El Corral de Murias, Murias. Hotel Restaurant La Estrella de Cuaña, Santibanes de Murias. Hotel Restaurant Ca'l Xab, Cuergo. Hotel Restaurant El Parador, Felechosa. Hotel Restaurant La Braña, La Raya.